Your bodybriefer size is your bra size if you have a "balanced" figure. • Try a crossover, bodybriefer size. 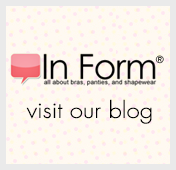 • Add 2 to your bra band size and move down one letter in your cup size. • Using a size 36C as an example, its crossover size would be a 38B. • Subtract 2 from your bra band size and move up one letter in your cup size. • Using a size 38C as an example, its crossover size would be a 36D. Here’s another great example that shows why TC® stands for total control and total comfort. This revolutionary shaper incorporates Back Magic® - our new feature that comfortably contours the waist and midriff using flexible stays. Hook-and-eye fasteners, along with a silicone-coated elastic, at the top of the back also provide fit adjustability and better bra-cup stability. And double front and back panels deliver extra firm control making this style a great underpinning for special-occasion outfits. Choose this strapless bodybriefer to support your bust and transform your back, midriff, tummy, waist, & hips.